Our first game of the night saw Carlton Heart face Pascoe Vale. 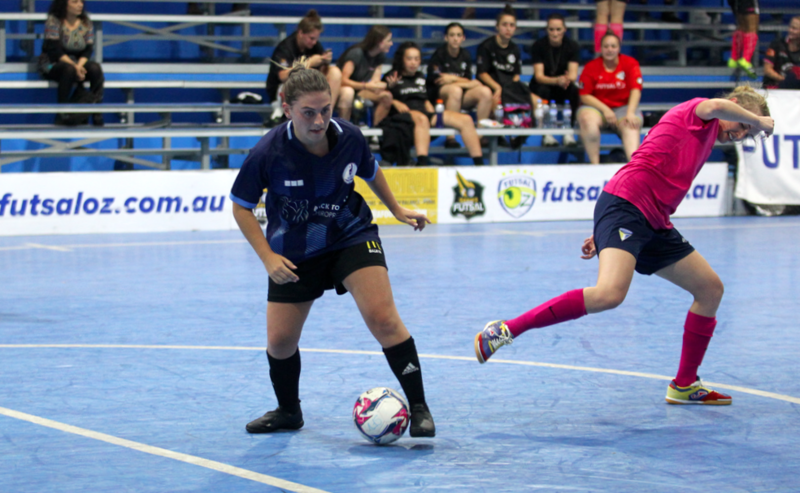 With nothing left to play for all sides would aim to end their seasons with victories and it was Pascoe Vale who struck first through Julie Tran to give her side the lead, only for Katie Foster to pick out the top corner to bring the Heart level. A three goal flurry followed from there as Carlton went into the break 4-1 to the good with Foster having a brace and Stefanie Oddo & Rebecca Saber both finding the net. The second half began in the same fashion as the first as Tran got her second of the game to keep Pascoe in it, before a Stephanie Galea header extended the Carlton advantage to three once again. Pascoe would not give up though and pulled a goal back through Evangelia Parthimos to remain the contest, before Parthimos found the net once again to have her side within a goal. 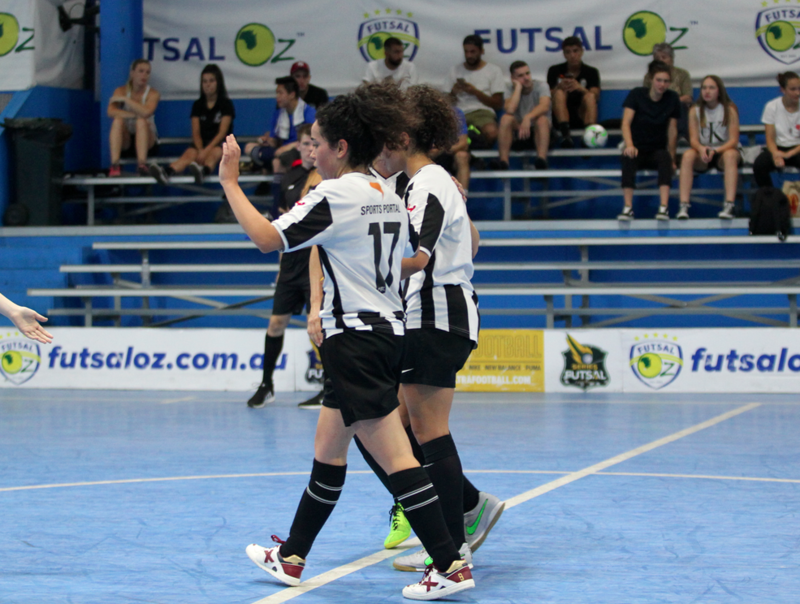 Beatriz Gonzalez then found the net to draw Pascoe Vale level and send the game to penalties in what was already a remarkable comeback. A long penalty shootout unfolded with Pascoe getting the edge after both sides were almost through their list for a second time to end their season with a victory. Next up saw Champions Westside take on a struggling Moreland. 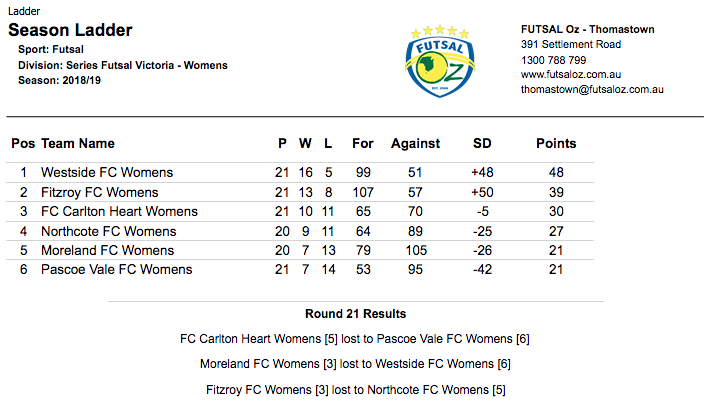 Westside looking to end their season on a high struck in the opening second through Pam Demetriou, and though Moreland would steady the ship Demetriou would strike for a second time to double her tally and have Westside up two at the break. Westside looked to be showing no mercy as they added the opening four goals of the second half through a Lisa Fonua hat trick and a single to Monica Fonua had the league leaders fully in their stride. 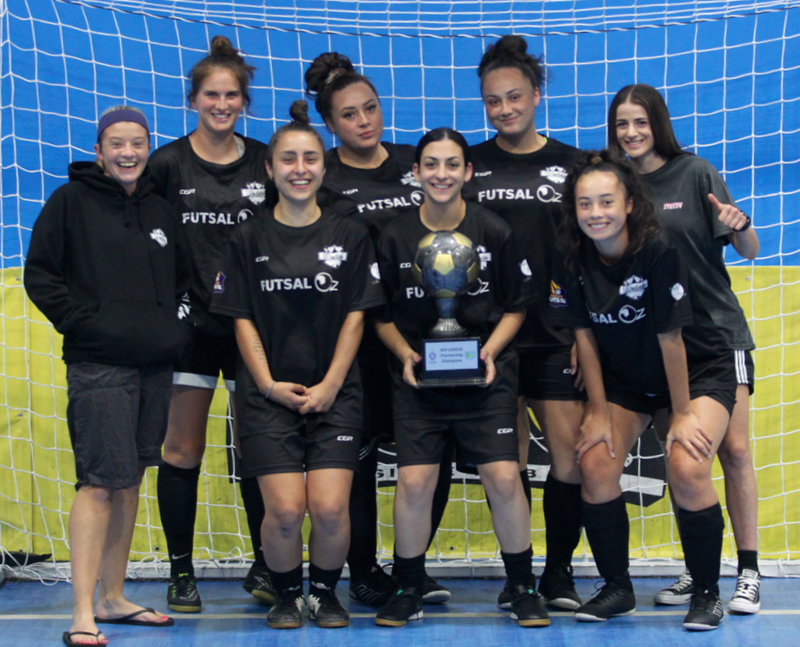 Moreland avoided an embarrassing scoreline as they got the last three goals of the game with Ebru Hasan bagging a brace and Zoe Tizard a single but it wouldn’t be enough as Westside end their first Championship winning season with a win. The final game of the season saw Fitzroy take on Northcote as both sides were looking to end on a high. It was Northcote who struck first through Eleni Fakos, only for Fitzroy to level through a Dharma Georgi strike. Northcote looked in the mood and regained the lead through Camilla Fresneda, before Mel Garcia also found the net to have her side ahead 3-1 at the break. 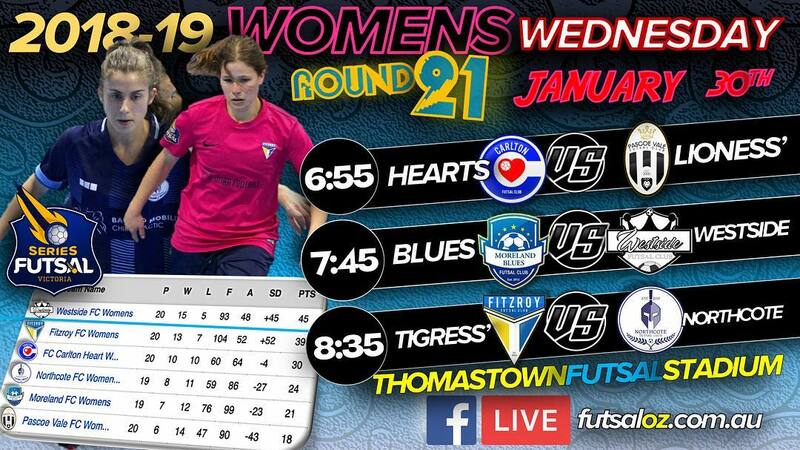 Fitzroy looked to respond early in the second half and they did just that when Elaina Vatcky found the net to have her side within one, but Northcote again restored their two goal cushion when Sarah Richardson deflected an effort home for an own goal. Fitzroy would again pull with a goal as Em Coppock found the net, but a late goal to Fresneda killed off any chance of a comeback as Northcote ended their season with a win.